"You may have the Falcon but we certainly have You..."
Best film noir ever – even the colourised version seems shot in glorious black and white – the morality of the characters, on the other hand, reflect all 50 shades of grey. 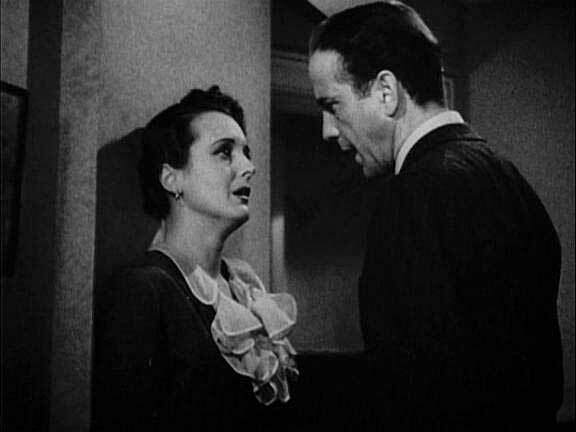 Humphrey Bogart is tough, wily, cynical detective Sam Spade, engaged by Mary Astor, pretending to be a damsel in distress. Spade is being circled meanwhile, by an unholy trinity: Joel Cairo (Peter Lorre), Kaspar Gutman (Sydney Greenstreet) and Gutman’s henchman Wilmer (Elisha Cook Jr). They are all interested in an artefact originally chosen by the Knights Templar as a gift for King Phillip of Spain, known as the Maltese Falcon.